About Davis Properties of Northwest Florida Inc. 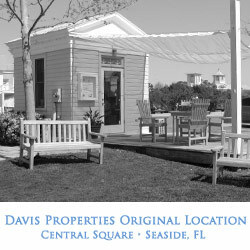 Upon relocating to the area from the west coast in 1988, Larry Davis started off working with Seaside Group Sales and Cottage Rental Agency in Seaside Florida. In 1990 he earned his real estate license and began a sales career with Abbott Resorts in Seagrove Beach. Two years later, Larry decided to “go it on his own” and established Davis Properties of NW FL, Inc. The 30A real estate agency was established in downtown Seaside on the world famous Amphitheatre in 1993. In 1995 Larry was influential in shaping the architectural layout and design for Rosemary Beach as the prominent Traditional Neighborhood Development it is known for today. He established Rosemary Beach Realty for the town's developer and was their first broker of record during the early days; all the while maintaining a sales team and business presence in Seaside for general real estate sales along the 30A corridor. Despite being a small independent real estate firm, Davis Properties has consistently ranked in the top 5% of sales for all real estate agencies in the Emerald Coast since 2012. 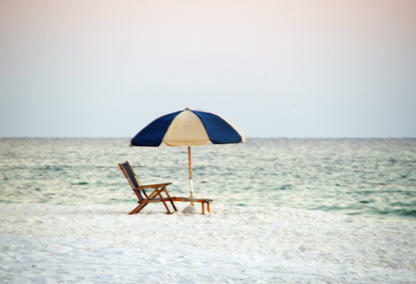 BROWSE SOUTH WALTON COUNTY COMMUNITIES! Our Team is made up of group of highly dedicated, motivated Realtors® who strive for excellence and professionalism. Our daily focus is on helping you making your real estate goals a reality. To help us achieve your goals our support team of Transaction Coordinator and Office manager are on the job overseeing the details of every property we market and every buyer we assist. Our team is here for you before, during and after the sale or purchase of 30A real estate. Please contact us if you'd like to learn more about Davis Properties of Northwest Florida, or the breathtaking area and 30A real estate. Larry Davis and his qualified team are standing by to help you find your own "slice of 30A" in tropical paradise. BOOKMARK YOUR DREAM SCENIC 30A BEACH HOME TODAY!